In times past, not a lot of thought was given to the food we eat. We’d go to the grocery store and buy whatever was on the list, make our families’ meals and that was the whole story. Now, food is a source of controversy and debate. In affluent industrialized nations, there are more items in the grocery store than we would ever try and foods are conveniently packaged for us, ready to be prepared. Food has become huge business, not simply a means to fuel and nourish our bodies. Farming methods have changed to promote greater yield and pest resistance—and the sacrifice is basic inherent nutrition. Synthetic vitamins and minerals are added to manufactured foods to put back in what conventional farming has taken out. Where Did Our Nutrients Go? A study of forty-three garden crops at the University of Texas examined the nutrient content of soil and crops between the years of 1950 and 1999. Research found that the produce sampled contained only a fraction of the nutrition they used to (1). This is partially because of genetic modification, loss of diversity in plant varieties and crop rotation, chemicals used on and around plants grown for food, and nutrient-poor soil. Hundreds of studies on produce have shown that conventionally-grown vegetables and fruits are less nutrient-dense than organic and traditionally-grown foods because the latter are raised counter to conventional, factory-farm practices. Home and community gardens are popping up everywhere as an alternative to industrial agriculture. If you’ve ever tried gardening, you know that there’s a certain satisfaction in putting something in the earth, caring for it, watching it grow, and then enjoying the fruits of your labor. You first garden doesn’t have to be intimidating, nor does it have to be large. A potted tomato plant on a balcony, a small roof-top garden, an old swimming pool, a backyard patch, a greenhouse, or even an indoor garden can be easy places to grow a little of your own food. We can’t discount the importance of the soil from which food is grown. Plants grow from their roots and the roots are in the soil. If the dirt isn’t healthy, we can’t expect what’s grown in it to be. Most homes aren’t built on soil appropriate for gardening but it’s not hard to make it so. Here are some inexpensive and chemical-free ways to nourish the earth so it can nourish you. Nothing is easier than composting and you don’t need a big space to do it. Collect all your fruit and vegetable trimmings (including skins, seeds, and pits), used matches, egg shells, tea bags, brown and newspaper and toss them together in one place. Whether in a bin or a pile, it’s easy to find specifics on composting practices that suit your space and lifestyle. However, there are a few things you should keep out of your pile. For one, keep out large twigs as they take longer to decompose and will make turning the compost a challenge. Yard clippings can be similarly problematic because grass is very hardy and can take over the compost. Also avoid cooked food, meat, bones, dairy, and starches. Turn the compost once a week or so throughout the year and keep it moist (not wet). You’ll have nutritious soil in no time! These slippery wriggly creatures enrich the soil by breaking down organic matter to make it easier for plants to use. Plus, their waste is a good fertilizer (2). They also aerate the soil, allowing air and moisture flow. Hence, worms are a sign of a healthy garden. If starting a new garden bed, you can catch some around the yard and place them where you want them. If not, you can probably find a local farm that will sell you some. Place the worms in the garden bed or in the compost bin to speed decomposition. Not to be confused with moldy leaves, leaf mold is nothing more than a bunch of decaying leaves (3). Rake up those leaves, run them over with the lawnmower to finely chop and voilà: a nutritious additive for garden soil that holds water up to five times its weight. Leaf mold is excellent for retaining moisture in the soil and keeping roots cool during the hot days of summer. Mineral-rich and alkaline, molasses adds calcium, magnesium, potassium, and iron to soil. As if it couldn’t get any better, its sugar content feeds microorganisms that further enrich your soil. 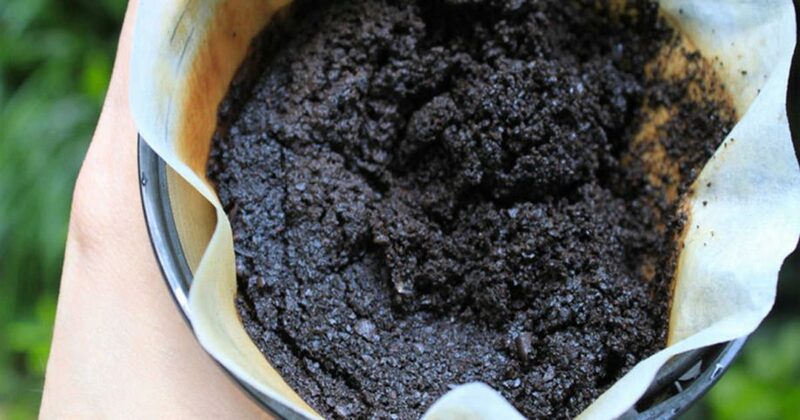 Coffee grounds are terrific for providing necessary nitrogen and potassium. You can compost the filter, too—as long as it hasn’t been bleached or chemically treated. They can also be added directly to the soil around plants to fertilize and boost nitrogen levels. If you live with boys, this will get them interested in gardening! Urine is acidic and contains nitrogen, potassium, and phosphorus—all necessary soil nutrients. It’s best to dilute the urine with water in a 1:10 ratio before applying to soil or compost. Avoid getting it on plant leaves, as the acid may burn them. Crop rotation and varied beds are very beneficial to the earth and the plants that grow in it. 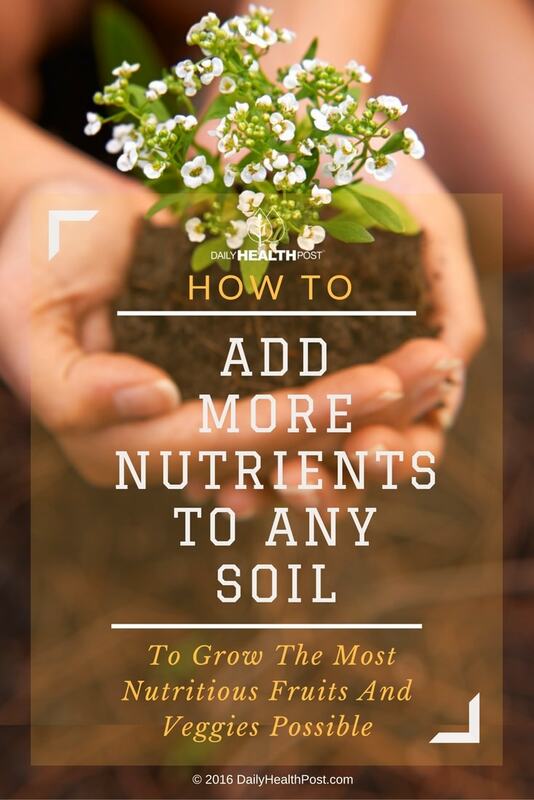 Different plants have different nutritional requirements and if you plant the same thing in the same place year after year, those nutrients will be depleted from the soil. Planting flowers alongside vegetables attracts beneficial insects (like bees) and some repel pests . They may also provide ground cover to keep dirt from drying out. Consult a gardening resource to find which flowers match up with the vegetables or berries you’re planting. Many flowers are edible, adding color and panache to salads, sandwiches, and as garnish. Having a garden of your own requires time, patience, and dirty fingernails. But it is so worth it, whatever you choose to grow. 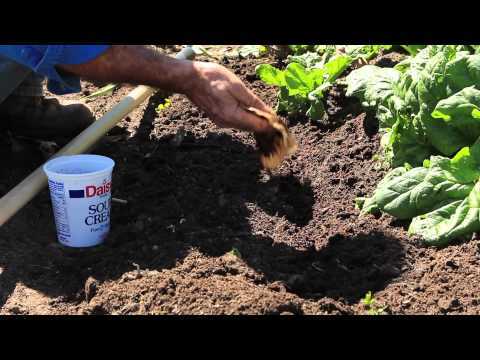 Invest in some time into your garden soil and you’ll be rewarded tenfold!